Palestinian rival factions Hamas and Fatah have reached a deal over political reconciliation and details will be released at a news conference later on Thursday, the pro-Hamas Palestinian Information Centre reported. Quoting a member of the Hamas media department, the website did not provide further details but said they would be announced at a noon news conference in Cairo, where unity talks between the rival factions began on Tuesday. The Western-backed mainstream Fatah party lost control of Gaza to Hamas, considered a terrorist group by the West and Israel, in fighting in 2007. 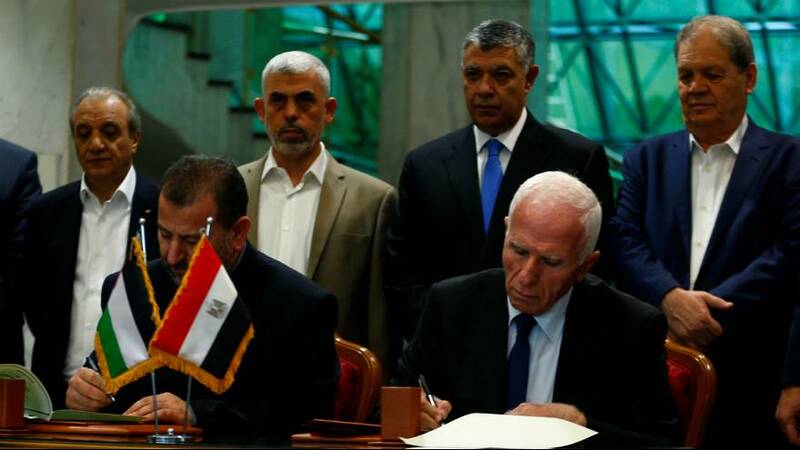 But last month Hamas agreed to cede powers in Gaza to President Mahmoud Abbas’ Fatah-backed government in a deal mediated by Egypt.